SilviaNSW reserves the right to change this Shipping & Returns statement at anytime without notice. All freight arrangements are organised on the customer's behalf and SilviaNSW will accept no responsibility for goods that are lost or damaged during transit. 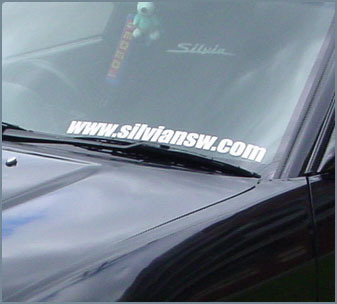 SilviaNSW is also not responsible for delays in delivery caused by courier or freight companies. Freight charges are shown separately on invoices. Please note that all freight costs remain the responsibility of the customer. SilviaNSW will not accept responsibility for goods, which are lost or damaged during transit. Goods being returned must be accompanied by the original invoice as well as a detailed fault description. Goods will only be replaced after our shop staff have determined that the goods are indeed faulty and satisfy our returns policy. Refunds cannot be given on returned products. Credit notes will be issued in these circumstances. Items returned with no fault found will attract a 15% re-stocking fee.